It’s vital to address water damage as soon as you’re able. Water damage in your home can cause major destruction and create a dangerous living environment for you and your family. Whether it’s caused by a natural disaster, plumbing leaks, or even just heavy rain, water can cause costly structural damage and serious health risks if not taken care of quickly and correctly. The longer you leave water damage untreated, mold will grow, wood will rot, and bacteria will develop. This can cause severe structural damage to your home and threaten the health of you and your family. When your Germantown home has water damage from flooding or leaks, we have the expertise and equipment to properly restore and clean up your property. 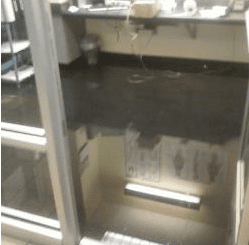 When water damage threatens your property, you don’t have time to fool around with amateurs. Call the professionals. RestoreUnow offers water damage repair when you need it most. Contact us online today to schedule your service. Inspect & Assess Water Damage – Water can be extremely unpredictable and move into places that cannot be seen with the naked eye. We utilize moisture detection equipment such as infrared cameras, moisture meters, and other professional tools to find where the water has traveled. This equipment lets us know what is wet and how wet it is so that we can put a plan of action together that will ensure everything is dry and safe. Water Removal – Once we know where the water is, we’re able to begin removing the bulk of the water including any standing water. For large amounts of standing water, we may use water pumps to remove the water from your property quickly. Clean Contaminated Areas – Finally, we flush the areas with 200-degree water to aid in sanitation and apply an anti-microbial agent. Anti-microbial agents are used to deodorize, sanitize, and prevent mold growth. We will advise if any further safety precautions are needed. Not only will we install specialty drying equipment, but we will remove non-restorable materials such as drywall, insulation, baseboards, linoleum, etc. We do this in order to increase the rate of drying. A certified and trained estimator will inspect your home regularly to ensure that your home is drying as quickly as possible. In addition, the scope of work, relative humidity of the air, moisture content levels, and overall drying progress will be documented. Digital pictures are taken for evidence of the affected areas, structural damage, and damaged contents if applicable. Call RestoreUnow at 301-679-0465 for fast, reliable commercial water damage repair services throughout Germantown. Our priority is to take care of your water damage repairs as quickly as possible while making sure the job is done professionally and to the highest degree of standards. Water cleanup and water removal are our specialties and we don’t rest until your home or business is back to a safe and normal condition. For more information on our residential or commercial water damage restoration services in Germantown, or to reach us about an emergency water damage issue, call us today at 301-679-0465.